Taste, learn and create this summer at Sprouts Cooking Camps! June through August your Sprouting Chef can enjoy a variety of camps and learn to create some of their favorite dishes! Select a camp below to learn more. 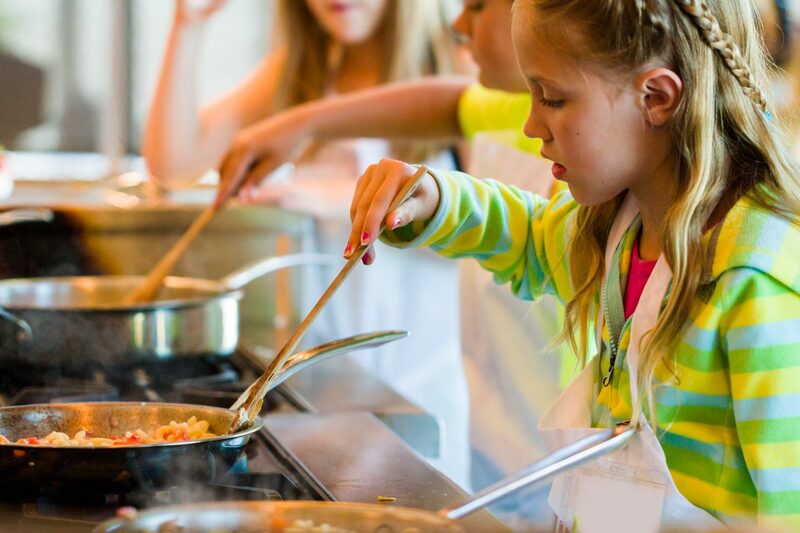 Join Sprouts Cooking School this summer for Indiana’s premier cooking camp experience! We will be offering 10 weeks of cooking camp fun for your Sprouting Chef to choose from! During a 4-day camp, children will make an average of 10-12 recipes. They will also make at least two crafts. No need to worry about materials – all meals, groceries, craft materials, set-up, food prep, and clean-up for the camps are provided! You just supply the Sprouting Chef! If you need to change camps for any reason you will be charged a $50 change fee per student registered. Please read our cancellation policy as we do not issue refunds.